Sharing resources makes sense for many organizations, but leadership at the staff and board levels can be reluctant to take that next step. When the financial analysis points in favor of sharing, w hat’s holding organizations back? Recent research on pro-social behavior can help us understand some of the human factor behind the desire to go it alone in the nonprofit sector. 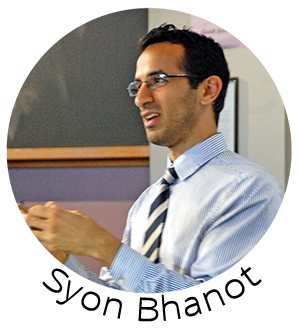 Our featured speaker is Syon Bhanot, Assistant Professor of Economics at Swarthmore College, and his research focuses behavioral and public economics, through conducting field experiments to help us understand how people make decisions. During this webinar, Syon will explain social phenomena including the free-rider remptation, present bias, the IKEA effect, loss aversion, and more, and how they present challenges to resource sharing. This webinar recaps some of the highlights of Syon Bhanot’s keynote address for the convening Streamlining Social Good: Overcoming Barriers to Research Sharing, held in Philadelphia in April 2016.